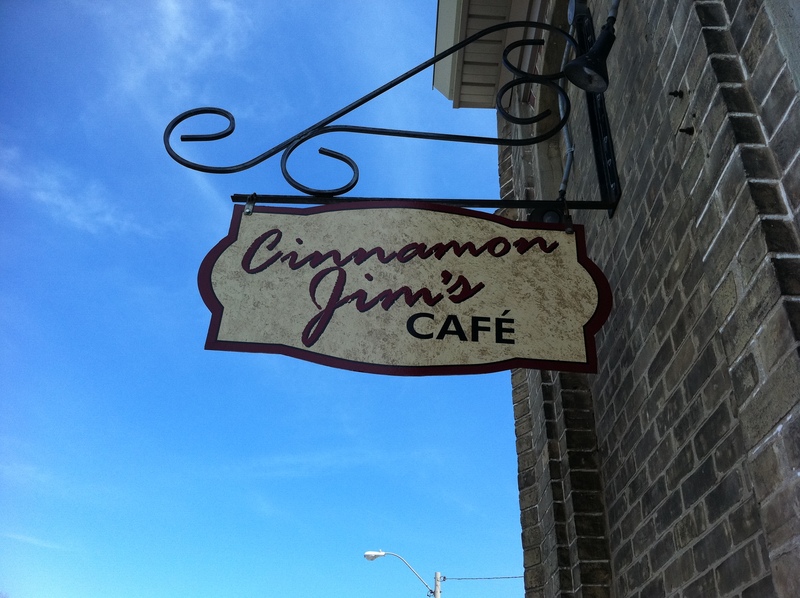 After I finished at the Home and Garden Show, I jumped in my car and drove to Brussels and went to the restaurant/cafe called Cinnamon Jim’s. After hearing so many people tell me about how amazing the cinnamon buns were I figured it was worth the drive to check it out. And I must say, those cinnamon buns were pretty darn tasty!! But before I indulged in dessert I needed lunch. They had a number of hot and cold sandwiches, chili, salads, quesadillas and many other yummy lunch items. I had a delicious ham and swiss melt, and my lunch date ordered the reuben. They had four different types of bread to choose from which was nice, and the food came out very quickly. Luckily I got there when I did, because within about ten minutes of being there the place was completely packed!!! It seemed like a place that all the locals flooded to to get a quick and delicious lunch. Some stayed and ate, and many their food to go. Cinnamon Jim’s is clearly a hot spot for lunch. The food was great, very country and old fashioned, and also very inexpensive. I had green tea, a sandwich and a delicious mouthwatering cinnamon bun for under $12!! If you are ever in Brussels make sure you stop in!